Shantell Martin draws on everything, and why shouldn’t she? She can transform entire walls, clothing, furniture, bicycles and everything in between. Michelle Obama has even been invited to review her work at the home of Maneesh Goyal’s, founder of Live In The Grey. Martin describes her trademark black ink on white surface artwork as a meditation of lines. Part autobiographical and part whimsy, her artwork blurs the lines between fine art, commercial art, and everyday experiences. 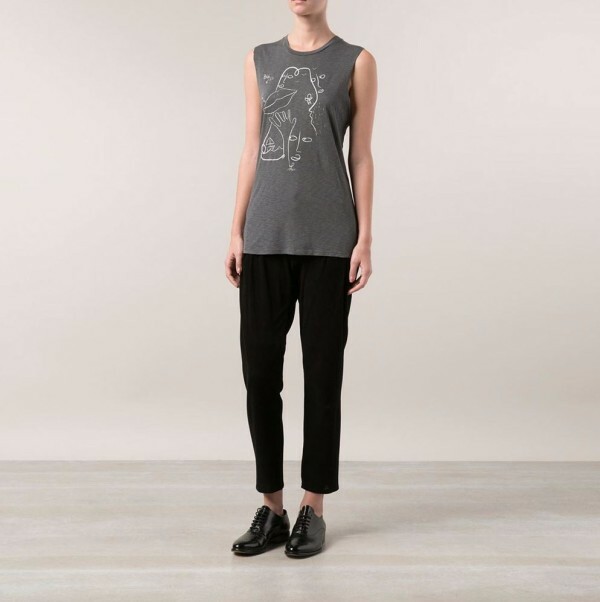 Martin has secured several cool brand collaborations, including Martone Cycling Co. 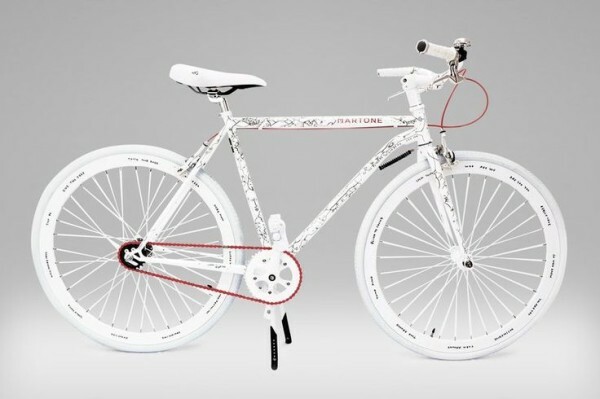 Inspired by New York City commuters, the limited edition series of bikes are available exclusively on Artspace. Artek teamed up with Martin to create these unique chairs, which were then auctioned off to benefit the Museum of Arts and Design and Design Trust for Public Space. 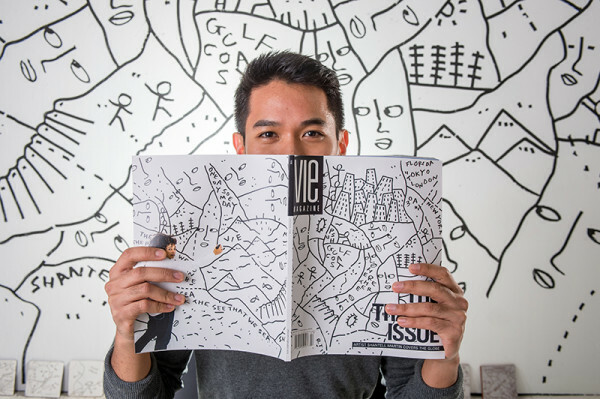 Martin was not only interviewed and featured in the travel issue of Vie Magazine with a 15-page spread, but her artwork graced the front and back. One of Martin’s more well-known collaborations was with designer Kelly Wearstler. Together they created unique furniture and home accessory pieces that were sold on 1stdibs. They also created some fashion pieces, including this tee above, scarves, totes and leather jackets. Martin created live drawn installations for the B+N retail display. As you can see, her meditative lines take beautiful designs to the next level. If you’re lucky enough, maybe one day you’ll get Shantell Martin to draw on your arm. And if you do, you better run to the nearest tattoo parlor so it can be made permanent. 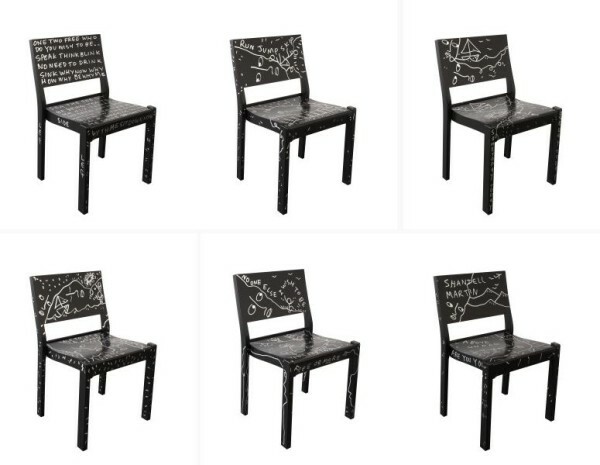 Shantell Martin: Meditation of Lines – Design Milk.